That’s really cool! What are the damn odds. Goals are more valuable than assists! But Crosby makes his teammates better! 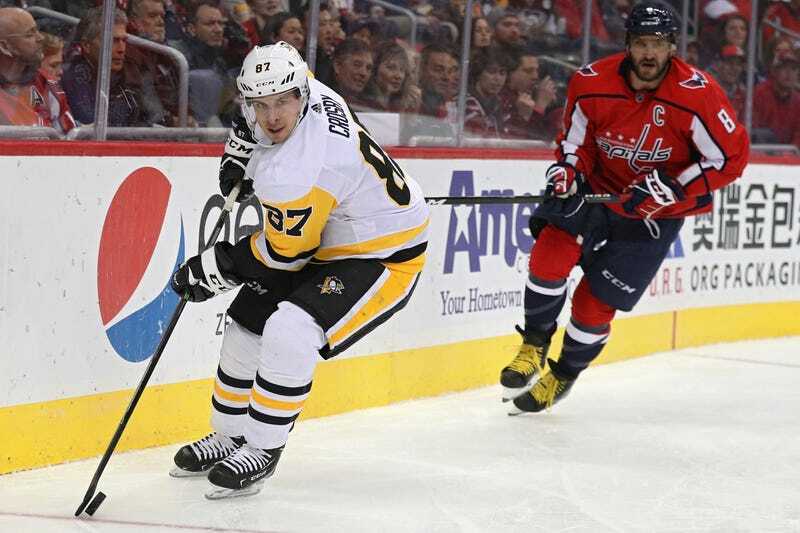 Crosby’s teammates were already better than Ovechkin’s! Crosby has as many points in fewer games! Ovechkin never gets enough credit for his two-way play! Crosby has way more playoff points! And all of this is before the Jumbo Joe Hive gets involved. Thankfully, the noise on the “who’s better” debate has tailed off in recent years, as most folks have stopped trying to quantify the value of the league’s two best players and instead seem to have become more able to just appreciate them for what they are and accept that they’re two different types of players, both incredible in their own ways. Still, and maybe this is only nostalgia, it’s at least a little fun to rehash the argument, if only because it gives a chance to reminisce about why your guy is so good. How Does Sidney Crosby Keep Doing This?